When you’re looking for reliable Karate Kingwood TX support for your martial arts needs, it can be difficult finding the right solution. Are you beginning to feel like you won’t be able to handle martial arts, and you’d like to prove yourself wrong? If you’re ready to find the dojo that can help you surpass your expectations, know that Tiger-Rock Martial Arts is here for help. Our Kingwood professionals are prepared to provide you with expert training and instruction. If you’d like to make the most out of your current circumstance and improve, we’re here to help. Tiger-Rock is a martial arts academy that was first founded in 1983. Ever since that year, we have steadily grown into the most successful and popular karate franchise in America. We have dozens of locations, and we’re always adding to our team. Each dojo has a staff of experienced, certified instructors who have mastered Korean Taekwondo. We understand that it can be difficult to learn this practice on your own, and we’re here to make sure you get the best support possible. If you’re considering martial arts, you may be an adult who’s unhappy with your current level of physical fitness. Dealing with physical inadequacies is something we all deal with, and it is not a feeling that is uncommon. Are you currently trying to improve your level of strength and conditioning? Perhaps you have trouble on a daily basis keeping your energy level up because you’re ill-equipped to handle a lot of walking and exercise. If you don’t feel like your body is where it needs to be, we can help you make improvements. The drills that we put students through promoting physical health. While they may be rigorous at times, our striking and kicking training will help develop valuable skills and become a healthier individual. These types of exercises will help every single muscle in your body become stronger, and you’ll also be able to expect an increase in your stamina. Many of our students have told us that their endurance greatly increased after fully committing to our courses and classes. It’s important to find a Karate Kingwood TX academy that can help you develop your mind as well. Are you trying to sharpen your mentality and make your mental toughness much more than what it is currently? If you’re noticing that your focus, self-esteem, and optimism isn’t where it needs to be, it’s important to get this figured out as soon as possible. These are critical components to a healthy mind, and you’re going to need to take advantage of improvements whenever possible. If you’re ready to become a mentally stronger person, we can help you do just that. Our professionals understand how tough it can be to overcome mental obstacles. In many cases, these are the toughest problems that we’ll have to face in our lifetime. The blocks and conundrums we create in our mind can hold us back from reaching our full potential and giving back to the world. You may feel down on your luck and unable to pull yourself up, but as long as we’re around, you’ll have the help you need to get out of your mental rut. Discipline is a key component of our philosophy, and it’s something we want to instill in each and every student. We have a 15-step program that will help you master Korean Taekwondo, but you will have to earn each belt. It will require a commitment and a high energy level each time you step into the dojo. While this is far from the easiest thing, your confidence will definitely increase as you watch yourself improve and move to the next rank. We want you to have the best resources and classes possible, and with these on your side, you’ll be just fine. We also have programs that are geared specifically towards children. Do you have a child that’s beginning to show a bit of interest in learning martial arts? Maybe they’re always watching karate-related content and you’d like to get them started early. If this is your thought, you’ve got a great idea on your hands. 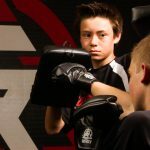 There are countless studies that show the many benefits that come with early exposure to martial arts. In addition to our adult classes, we have many courses for toddlers and teenagers. Competition is something else that’s very important to us. While it is not mandatory, we believe that competing against similarly skilled students can help you sharpen your skills and get better. On a regular basis, we hold national tournaments that help you pair up with another student to spar with. Healthy competition is a great thing to experience in life, and we want our students to reach their full potential. Finding the right Karate Kingwood TX course for you isn’t always easy, and it will take a great deal of patience to find the perfect dojo that fits your needs and preferences. 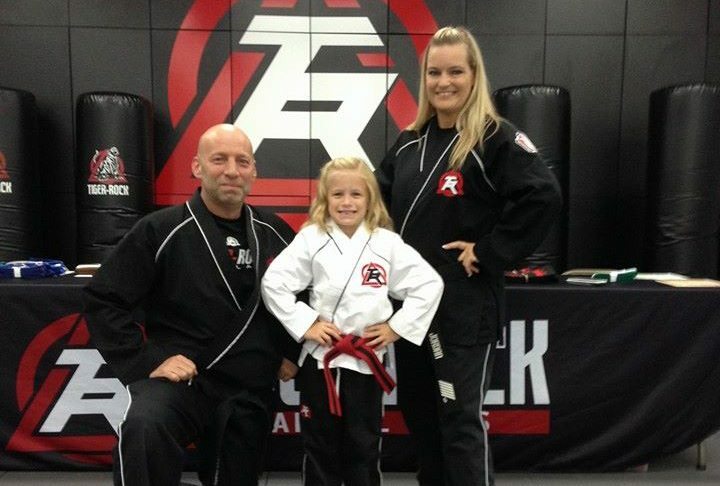 If you haven’t had much luck and you’re looking for a place to grow, we’d like to recommend Tiger-Rock Martial Arts of Kingwood. We know what it takes to transform your mind and body, and we’re always trying to pass our knowledge along to the next generation of artists. If you’re trying to improve your life and you want to do it through Taekwondo, contact us today. We can put together your intro course package so you can begin your transformation. Kingwood first began back in 1971 thanks to the Friendswood Development Company. While we get our namesake from King Ranch, the previous developer, this is the entity that finished the job. Today, we have over sixty-five thousand residents that call Kingwood home. Though the bulk of our region is located in Harris County, there exists a bit of it that overlaps into Montgomery County. This is very unique. Are you a lover of nature? If so, you’re going to greatly enjoy our location. Hiking and biking trails are commonplace here, and you will be surrounded by acres of nature.